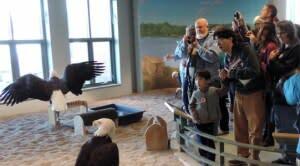 A unique opportunity to see both of North America’s eagle species in the wild. You can learn more about eagles in the Upper Mississippi River Valley and get great views of bald and golden eagles in the wild on a guided eagle tour into prime eagle habitat with our expert naturalists. 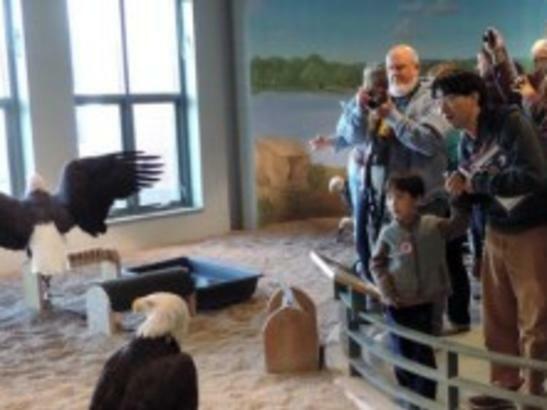 Attendees travel by coach bus with our expert naturalists to bald and golden eagle viewing hot spots in and around the Mississippi River valley. You can view these majestic birds in the wild while learning about their habitat, behavior, and tips for identifying them on your own. Great for photographers!